Whitney Hemphill is a senior at Wells Community Academy High School who is completing her SIXTH year at Cabrini Connections. 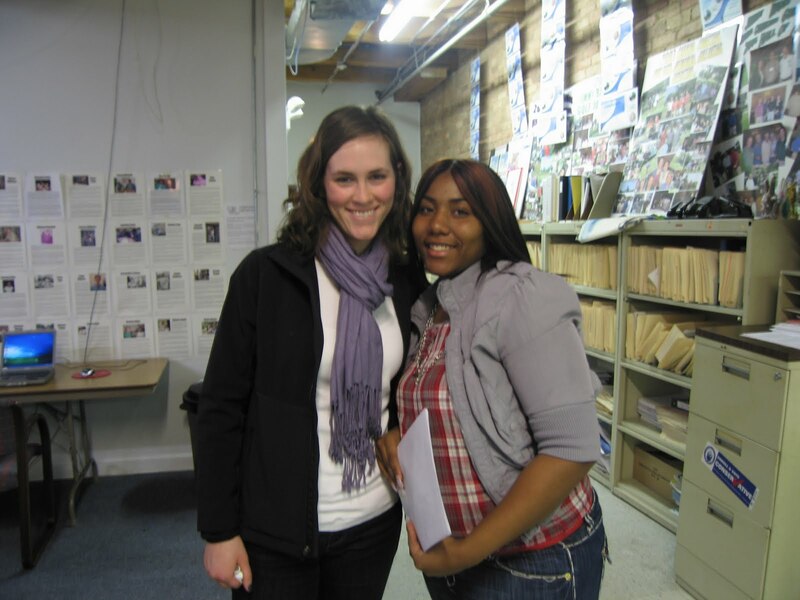 Whitney was born and raised in Cabrini Green but she is moving to the south side next month. “It’s time for something new,” she says. She enjoyed growing up in Cabrini Green because a lot of people were around and she made a lot of friends, but now a lot of those people have moved away. Whitney is the youngest of five children. “I used to get anything I wanted,” she says. Her older sister, Angelene, graduated from Cabrini Connections in 2009. She now attends Harold Washington College. 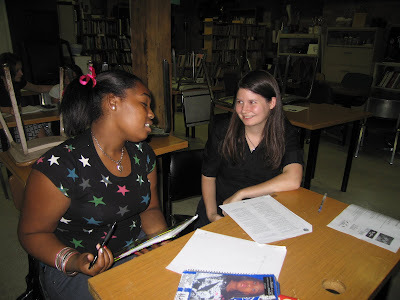 Whitney and Angelene were in the Art Club together for several years. That is one of the activities that first hooked Whitney into the program. Jessica Bearden was born in South Carolina and moved to Texas at the age of 5 where she stayed through high school. She is from a south Texas town named McAllen just 10 minutes from the Mexican border. She was very active as a kid, playing soccer and tennis mostly, but also volleyball, softball, and track and field. Much of her free time as a teenager was spent practicing for, training for, and participating in organized sports. She is still very active to this day. 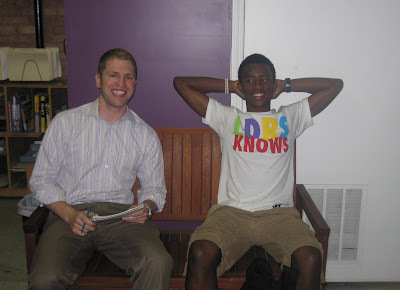 Marcus Burks is the second student to be featured in the student spotlight for a second time (Melissa Young). He was originally featured as an 8th grader at Wells Prep in March 2009. Two years later, he is a rising junior at King College Prep. Marcus is from the far south side of Chicago and has four siblings. He has three younger sisters who “make me feel like a leader” and an older brother who he’s close with. Marcus aims to be a positive influence in his sisters’ lives because “I wouldn’t want to see them doing anything negative.” What personally keeps him going while he’s looking out for others? “Hopes and dreams of going to college,” he says. 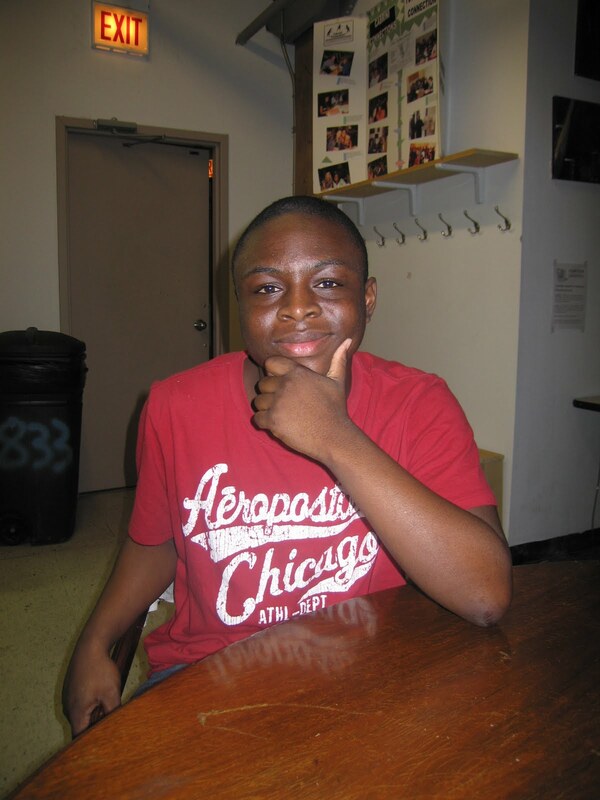 8th grader Jerman Beathea was born in Cabrini Green and lives there now, but in between, he moved around a lot. Jerman has lived on the west side of Chicago, on the south side twice, and in Minnesota for two years! If you think Chicago’s cold, Minnesota is worse. Jerman says it was fun at times, but mostly he’s glad to be back in Chi-town. 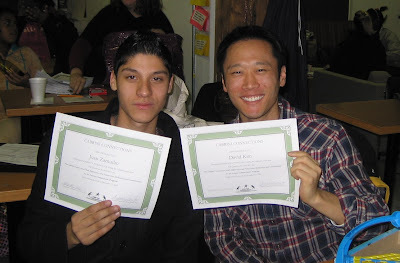 Wednesday night mentor David Kim (right) is a lifelong resident of Illinois. He was born in Rogers Park, grew up in Skokie, and attended college at the University of Illinois at Urbana-Champaign. As a child, he was very shy, quiet, and studious. It was not until college that David became extroverted. He suggests moving out on your own to a campus environment after high school. “It is on your own that you learn to mature socially,” he says. “You develop as a person, begin to relate with others, and make lots of new friends.” David says that living on his own in college helped him break out of his shell and build self-confidence.